What should you wear when it's raining? What should you wear in the sun? 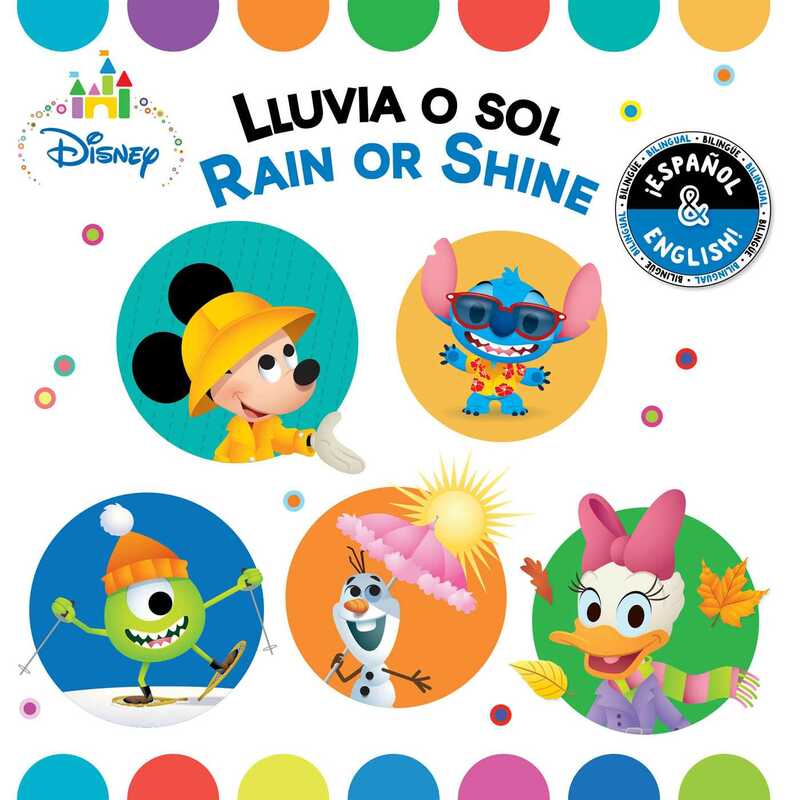 Learn words for the weather and clothing with your Disney Baby pals! With simple images and clear text, this board book is perfect for building everyday vocabulary in English and Spanish. It's a sweet and simple first step to bilingual language learning. ¿Qué ropa hay que llevar cuando llueve? ¿Qué ropa hay que llevar cuando hace sol? ¡Aprende palabras del tiempo y la ropa con los bebés de Disney! Con unas imágenes sencillas y un texto claro, este libro infantil es perfecto para aprender vocabulario en inglés y en español. Es un primer paso fácil y adorable para llegar a ser bilingüe.